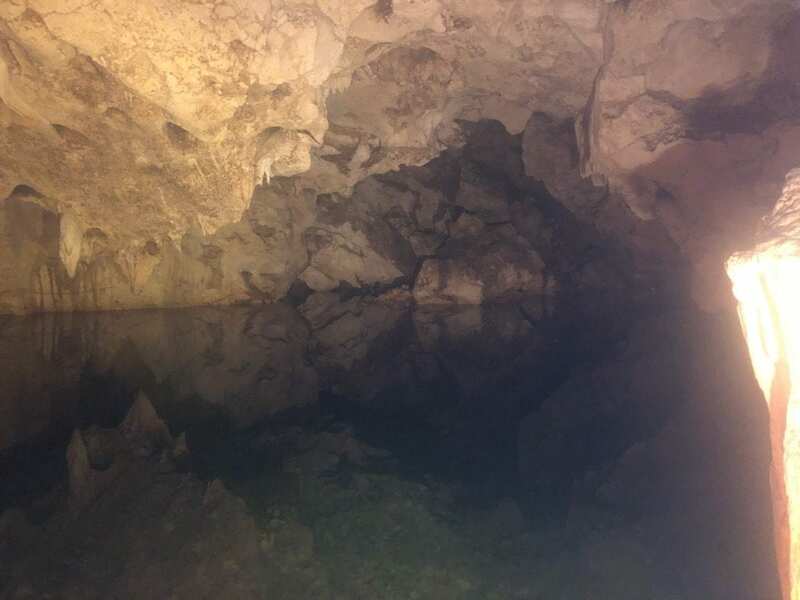 By the time this blog posts, all of the students and instructors will have left Discovery Bay Marine Lab, our home away from home for the past two weeks. Prof. Peterson and myself would sincerely like to thank the staff and personnel of DBML for facilitating our experience here. We come back here every year because it’s a great place to run a course and we’ve developed good friendships here. 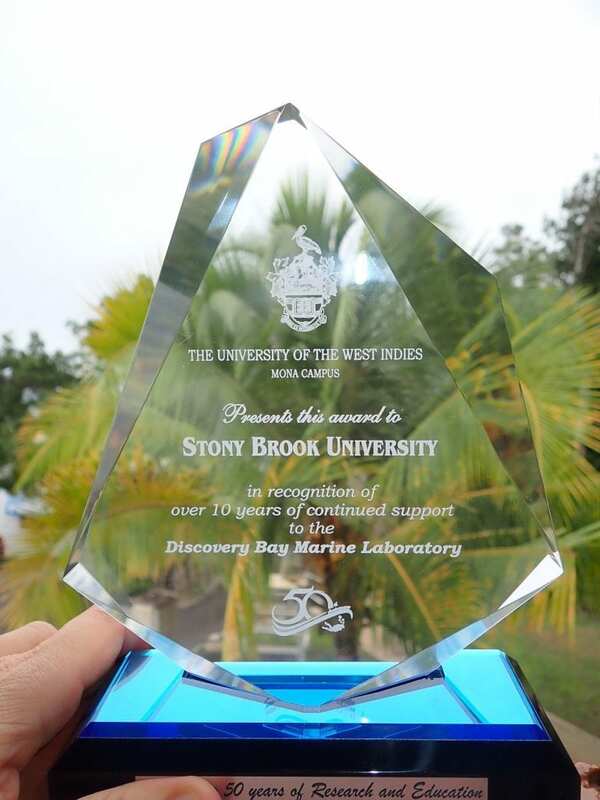 Last year was the 50th anniversary of Discovery Bay Marine Lab (which interestingly enough was established (in part) by a scientist from Stony Brook University – Dr. Thomas Goreau ! ), and the Adminstration of DBML presented our group with a plaque celebrating our more than 10 year relationship of running the course here. I asked, but unlike my local coffee shop punch card, coming to DBML for 10 years does not get us a free visit next year! We sincerely appreciate the recognition from DBML as part of their 50th Anniversary Celebration in 2018. 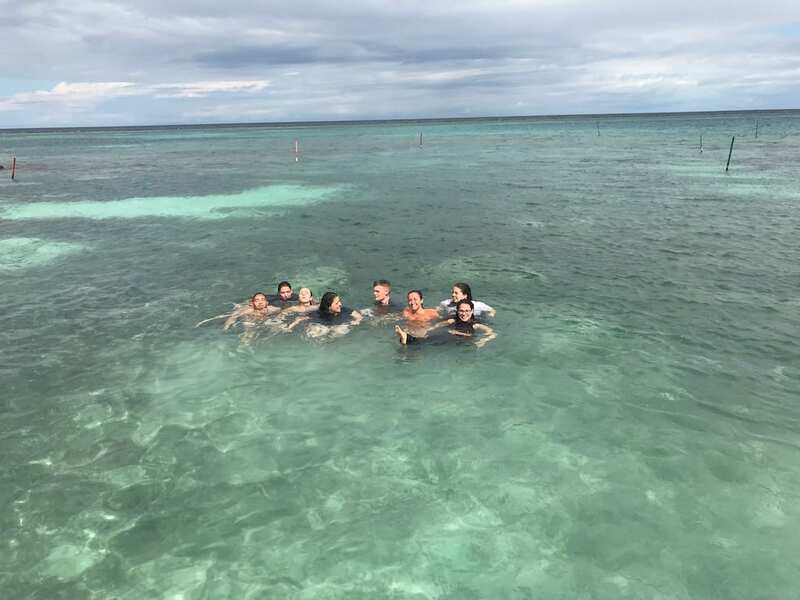 We started this year’s blog with a “before” group photo and we’ll end it with the “after” — same students but a bit more tan, a few sunburns, some scrapes and bumps, a LOT more knowledge about coral reef ecosystems and an ENORMOUS amount of fun memories. 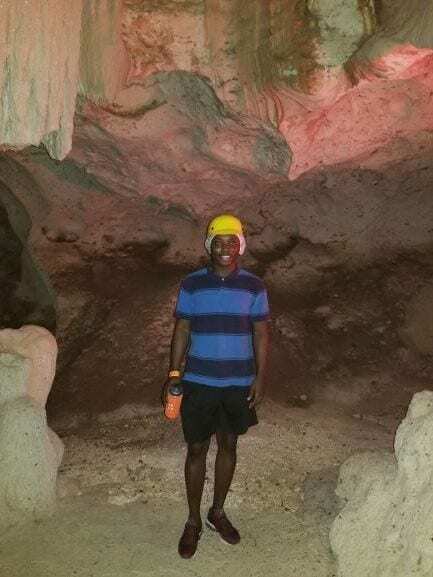 Yesterday was one of my best days in Jamaica. 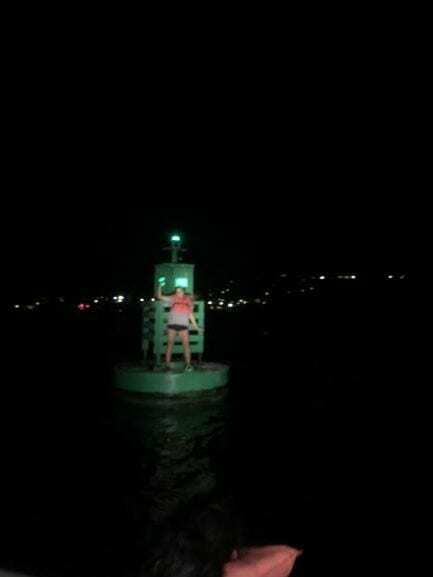 We embarked on a trip to the Ultimate Jerk restaurant, the Grotto and had a night boat ride. 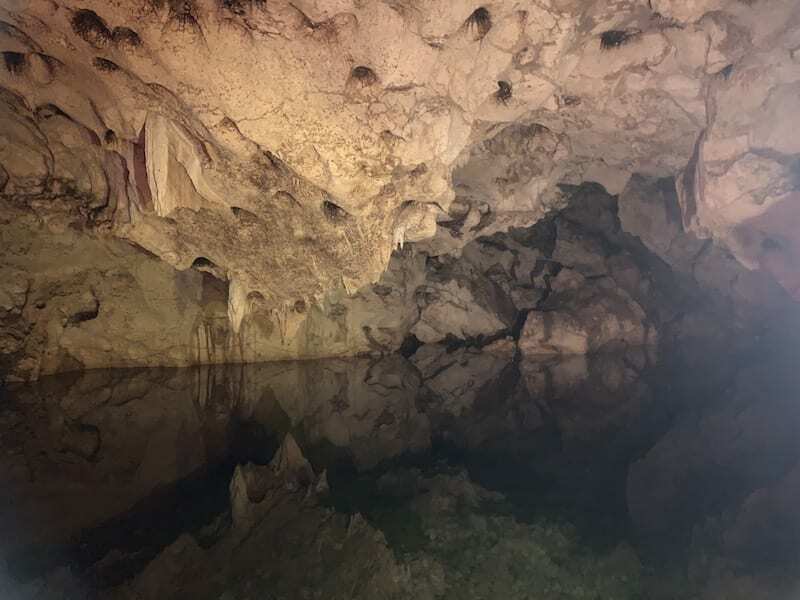 Grotto is a network of limestone caves. 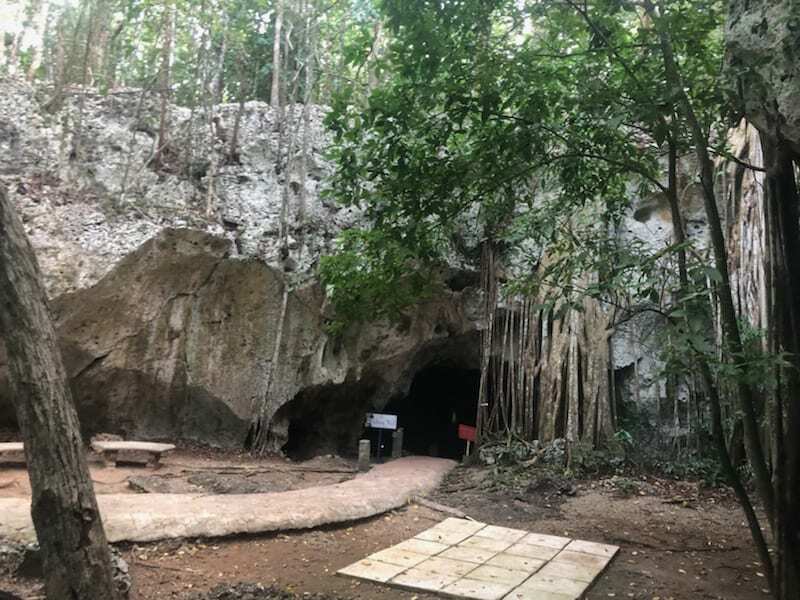 At the grotto I learned and explored various Jamaican history beginning with the English and Spanish conflict, the dark slave history of Jamaica and the significant role the Grotto caves played in these histories. 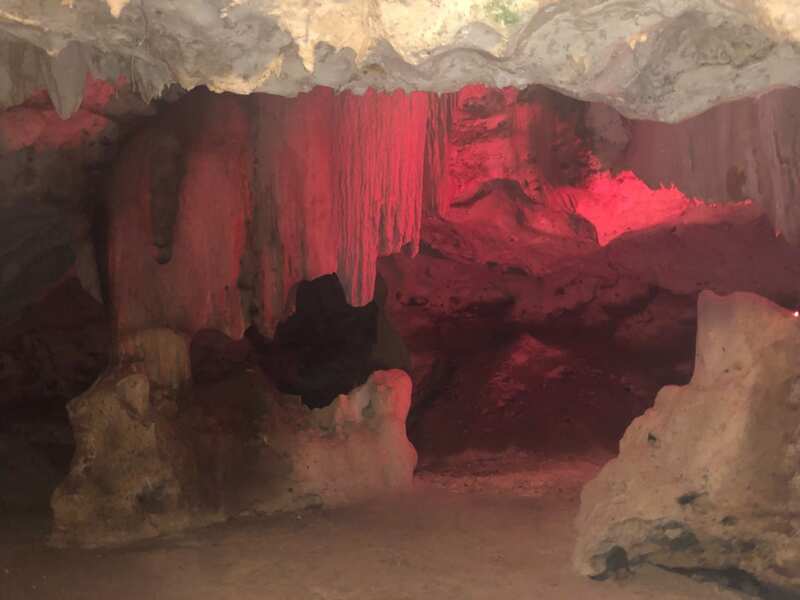 At the Grotto we learned that Spanish general used the cave as an escape route without light to escape British soldiers who sought to kill him. Also, we learned that most slaves used the similar tunnels to tread for freedom. The mini lecture on slaves moved me and informed me more on the dark history of the island. 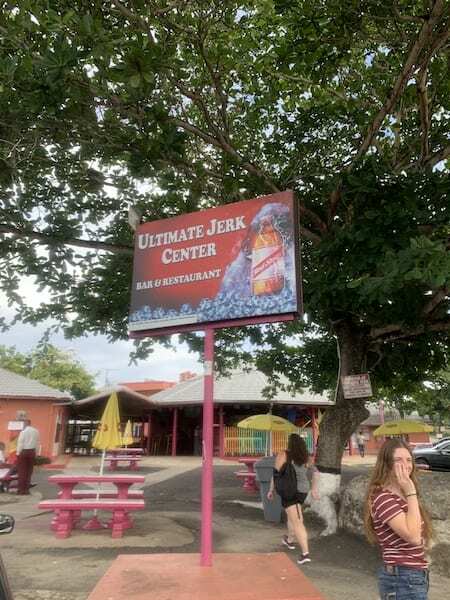 We ended our trip to the Grotto on a sweet note at the Ultimate Jerk, a restaurant to eat delicious Jamaican cuisine. I had the opportunity to try jerk chick and rice & pea. As if our day couldn’t get even more better, we had the opportunity to boat around the surrounding bays in the night. Whiles speeding on the boat, we saw different fish jumping out of the water. 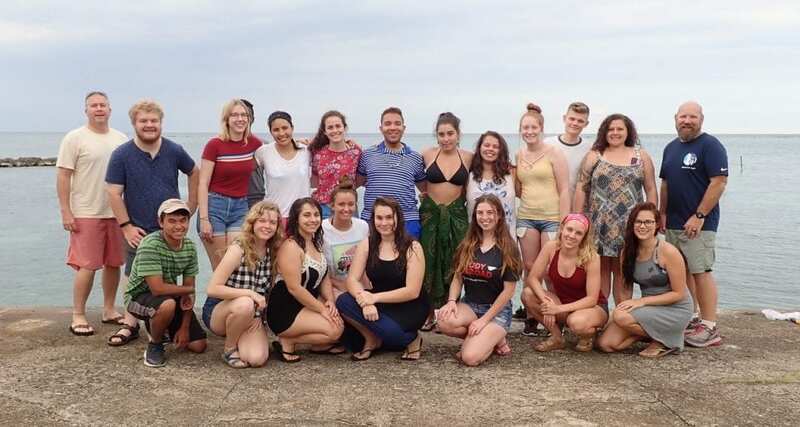 Yesterday will forever remain one of the best days in my life and I am so glad to come on this study abroad trip to Jamaica. As the last few days come and go, we are all preparing for the end of this trip and of this class. These past two days we have mostly been working on some group project Dr. Warren and Dr. Peterson gave to the class. 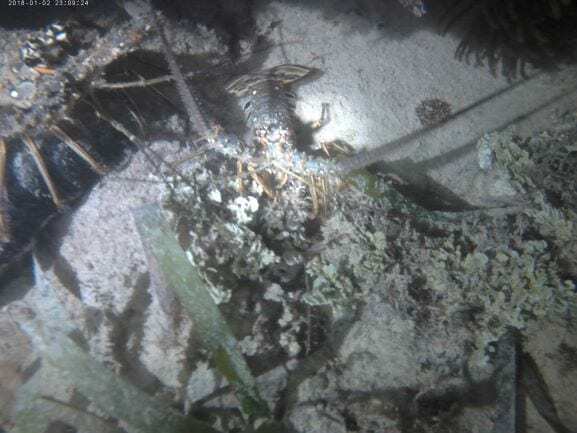 One having to do with transects and the other having to do with sorting through sediments and finding how much diversity there is in even small sections of the ocean. We also had out Identification test yesterday. 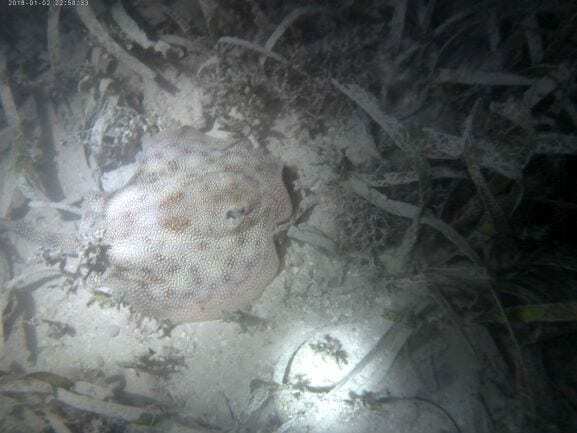 We were all pretty nervous at first but it was not as nerve racking as we thought it would be and now I know that a Donkey Dung Sea Cucumber’s scientific name is Holothuria mexicana. After the test today, everyone mostly just relaxed and started to study for our test on the course material, which is today. 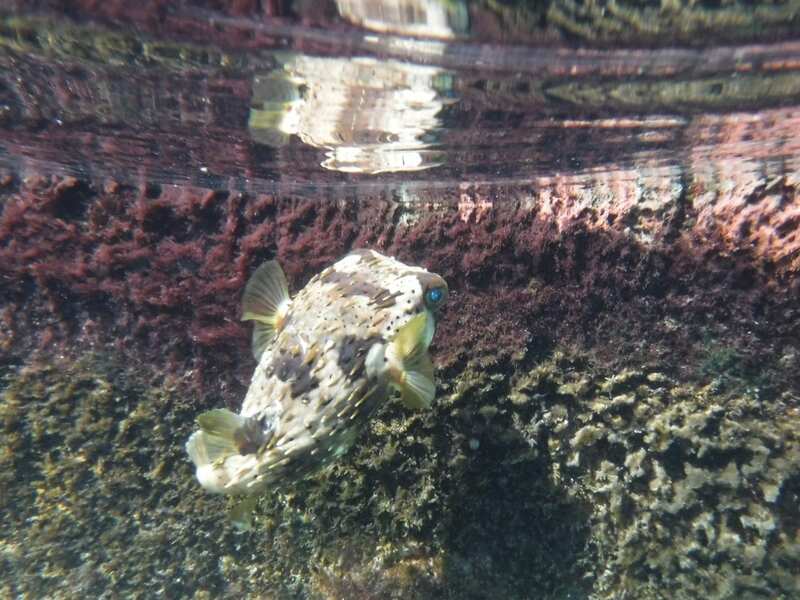 While studying together on the dock, a group of us saw a cute Balloon fish (Diodon holocanthus). 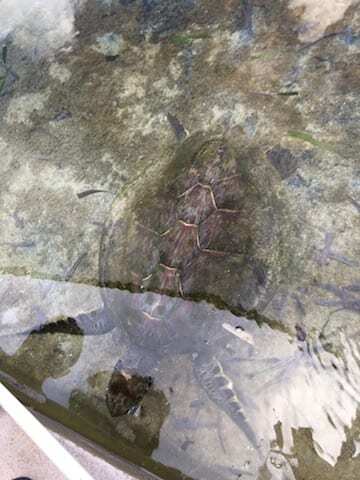 It wasn’t scared of us and even came up to our hands when we would lightly splash the water. It even let us pet it. It was a good break from all of the stress and anxiety placed on us these past few days. Today is the culmination of everyone’s stress and fatigue; some of us are suffering from mental breakdowns, bone injuries, accidental soiled wetsuits, and even bloody noses, however, we all continue to laugh and dance it all off with a smile. 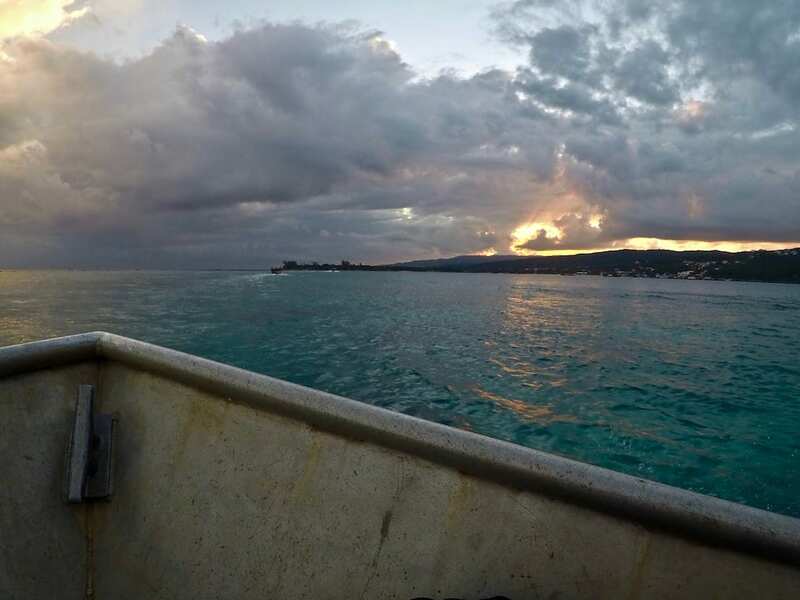 Today we started off the day getting up at 6:30am for early snorkeling and dives which was a blessing compared to previously getting up at 5:30am. Then after breakfast, we finished any missing data for our transects by measuring diadema, parrot fish, surgeon fish, and bottom cover. 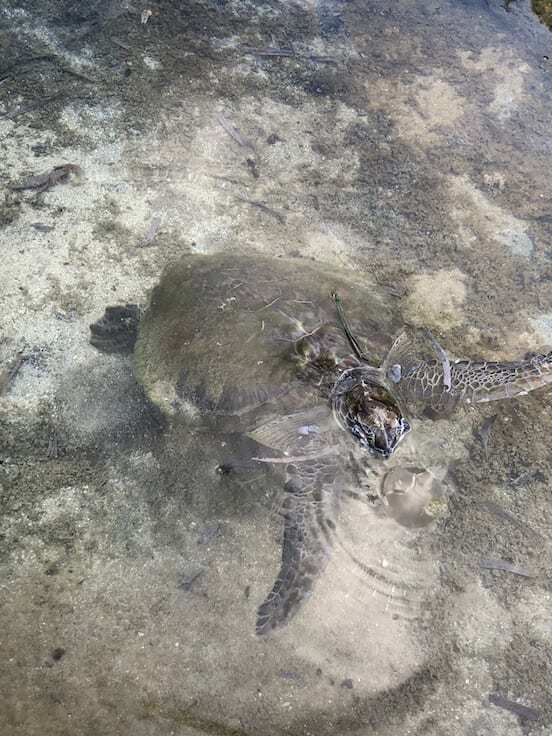 Following data collection, we had lunch and a couple of us went on either research dives, contributed to organization of data sites consisting of seagrass or clams, continued to study for our ID test tomorrow until dinner, and played with a sea turtle near the mangrove nursery. A sea turtle eating a jellyfish, Cassiopea frondosa, which was found by divers and placed into the nursery because it was blind. At dinner, those who had been participating in dives, snorkeling, or ID presentations were overwhelmed with the lectures and ID’s they had to catch up on. 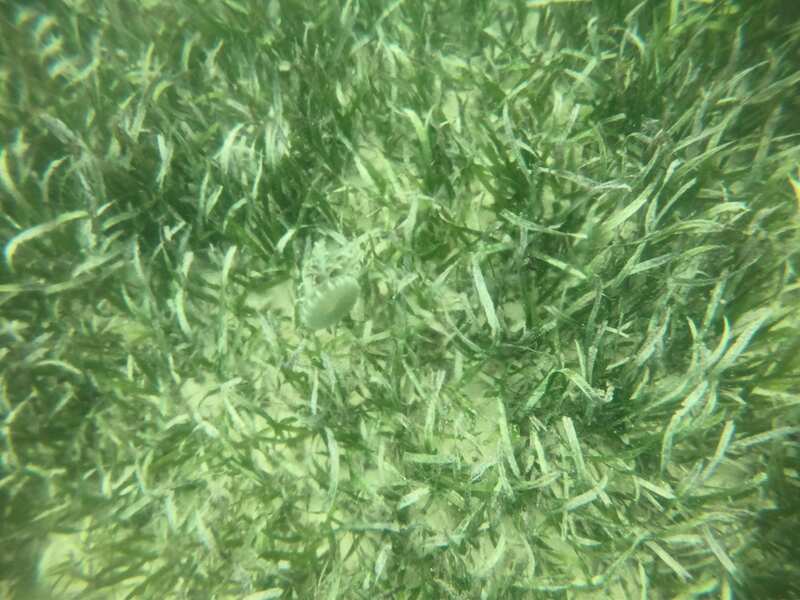 The ID project entails that students remember the Phyla, Classes, Genus, and Species of invertebrates, plants, and algae typically found in Discovery Bay, Jamaica. We’ve managed to survive this stress by playing jeopardy, using funny pneumonics, singing songs, doing pushups for wrong answers, and playing hangman. However, I don’t think we would have made it through this trip without our kitchen cooks, Mrs. Precious and Mrs. June, because they always lightened up our anxiety with DESSERT! It’s the perfect way to end to the day and it always keeps us going. Thus, although we are experiencing overwhelming stress right now for our ID test tomorrow, we will eventually look back on our stress as rewarding and prize ourselves with Dessert at the end of the day.